Stephanies is the perfect retreat offering classic bed and breakfast accommodation. The location, spaciousness, ambiance, privacy and unobtrusive service makes Stephanies an ideal stopover for people with vastly different needs and desires. We invite you to step back in time with us. Relax in front of the open fire with a book from our extensive collection. Enjoy complimentary chocolates and glass of classic port as you soak away the day in the spa. Wake up to a sumptuous breakfast and freshly roasted coffee. 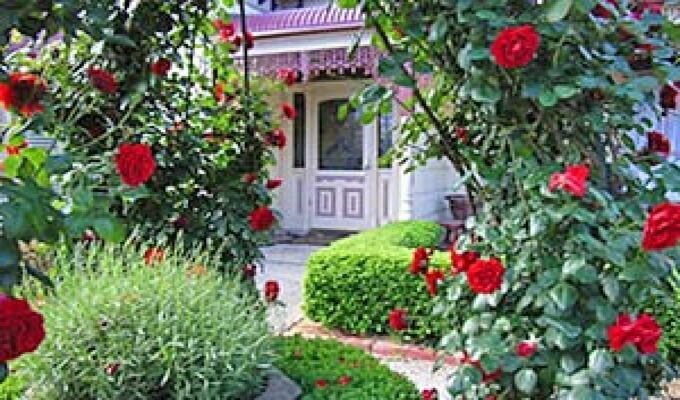 A captivating and charming place to stay, Bed and Breakfast at Stephanie\'s is situated in the heart of historic Williamstown Victoria - only 20 minutes from Melbourne\'s CBD by train, 10 to 15 mins by car or 45 mins by ferry. You\'ll never be without something to do.